Made in Germany. Quality Solder wire made up from 60% Tin and 40% lead and with 2.2% flux content. No-Clean Crystal 400 Flux. REL0 Flux Classification. 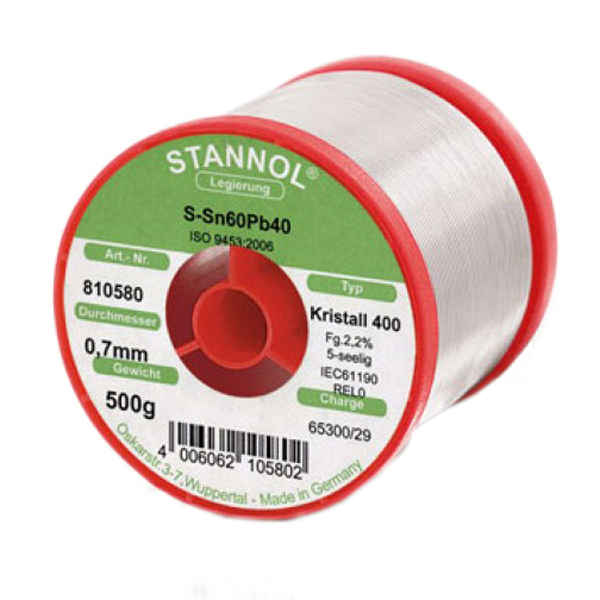 0.5mm solder and 500g spool.